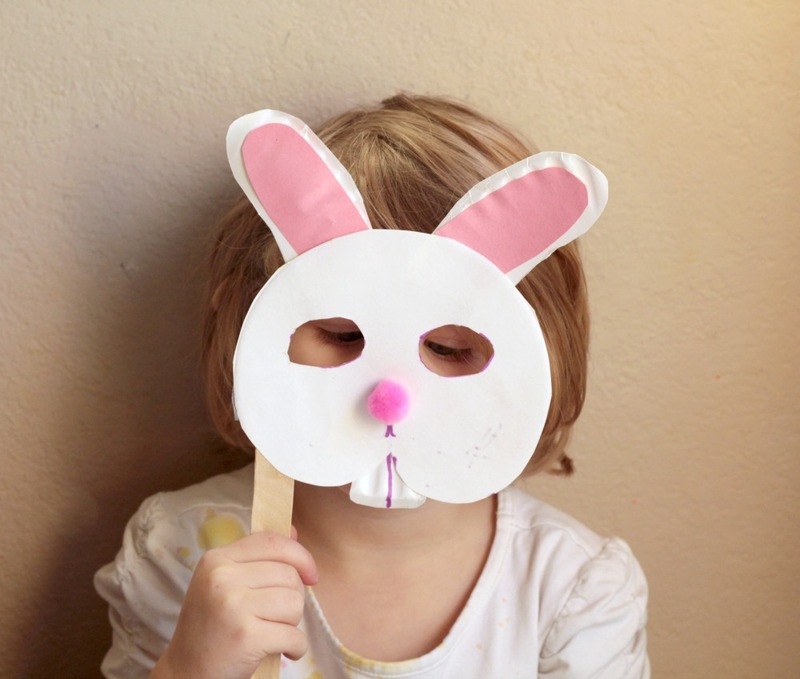 With spring just around the corner, celebrate by making a bunny mask! Today I have a cute bunny craft for preschool that I think your little person will LOVE! The coolest thing about these masks is that all it takes is one craft, stick, one paper plate, and one piece of construction paper per mask. There is nothing complicated in the instructions, and it’s a great non-wasteful craft that little kids will love! My preschooler spent hours hopping around the house after making the paper plate bunny mask. Anyway, before you begin, here are some of our favorite bunny books! It is fun to read these books before making your mask. The key to this mask is to use every part of the paper plate. The inner part of the plate becomes the mask, while the outer part becomes the ears. First, cut out the center of the plate. Cut two ears from the outside part of the plate. 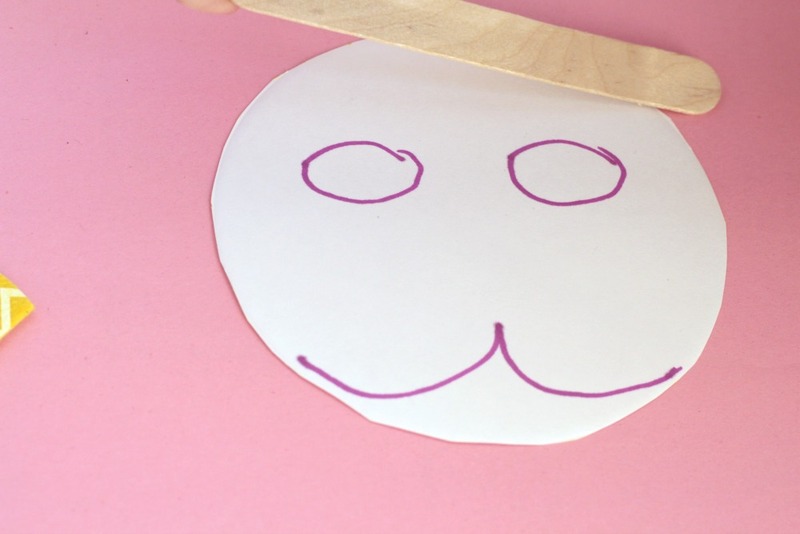 Draw a bunny face onto the paper plate and cut it out. Cut two pink strips of paper to glue to the white paper ears for the inside of the ears. Draw two eyes on the plate and cut them out. Glue the ears and pom pom nose to the bunny mask. Draw on a little mouth for your bunny. 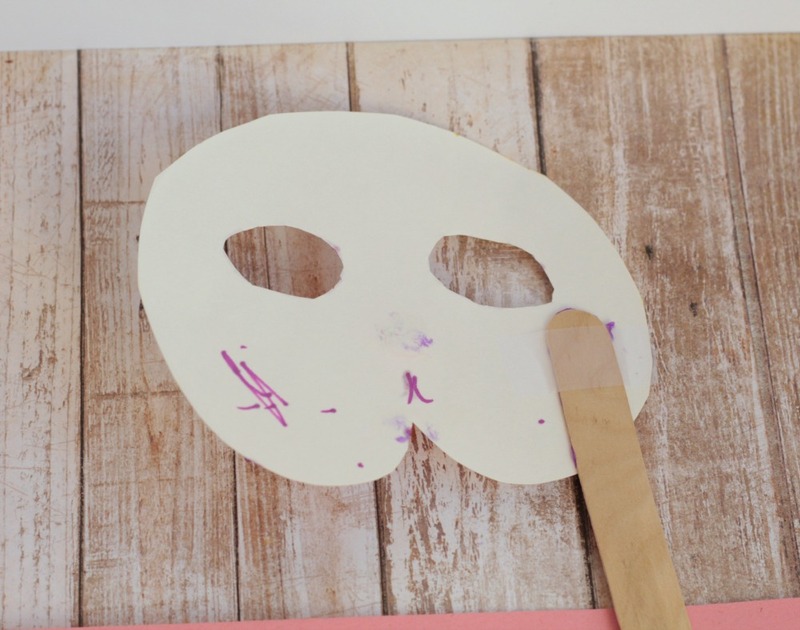 Glue the craft stick to the back of the mask so the child can hold it while wearing the mask. Let the glue dry fully before playing with the mask. Preschoolers and kindergartners will be delighted to pretend to be bunnies and spend a lot time hopping around the classroom. These masks will even be a hit with older kids! 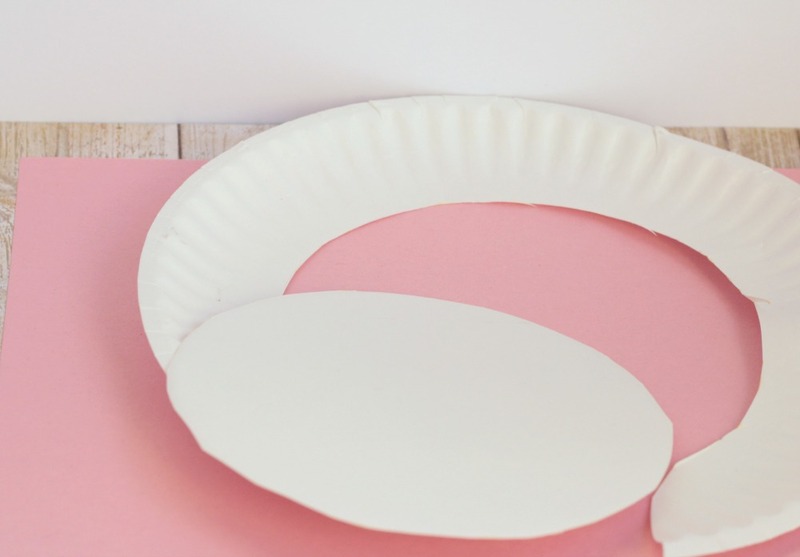 One variation you can try is to use different colored paper plates. Try other fun colors, like traditional bunny shades of grey, brown, or black, or bring some Easter into the classroom with pastel blue, pink, yellow, and green bunnies! Do you want more ideas about some bunny crafts? Here are some great ideas you can hop on and have some fun with kids. DIY Easter Bunny Wall Hanging from Making of a Mom is a cute decoration that children can make and proudly display around hanging somewhere in the house. If you are looking for bunny crafts made out of paper, Paper Bunny Craft from Easy Peasy and Fun will be a fit choice. It is simple and will look really good to put on the dining table. Easy Easter Bunny Popsicle Stick Craft for Kids from Craft Create Cook use popsicle shaped into a triangle for the head of the bunny. It will look adorable to put in the Easter basket. I am really amazed by crafters that can use unique materials to make a craft. Our Kid Things uses cupcake paper to make the cute Cupcake Liner Craft Stick Bunny Puppets. Do your children like dolls or robots? 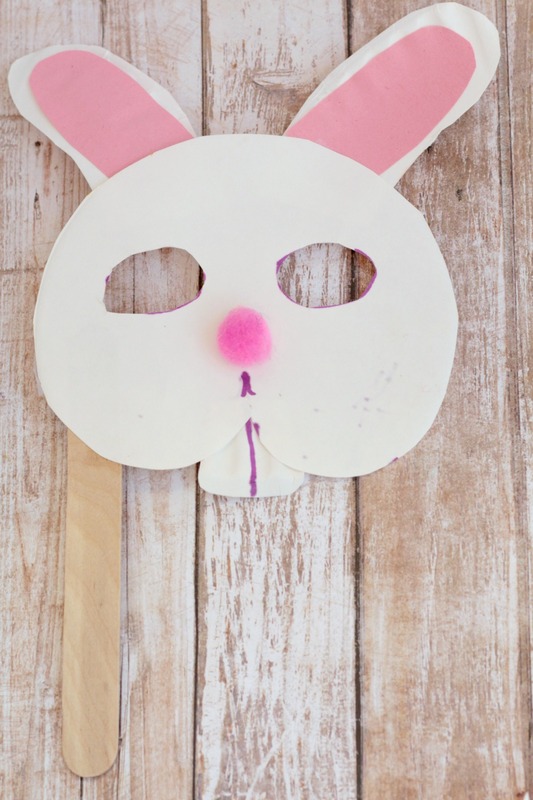 Thrifty Jinxy has a Free Printable Easter Bunny Robot Kid’s Craft that both boys and girls will love. Milk Jug Easter Bunny Basket Kid’s Craft use a recycle material as it is in the name. It will look great in the 3D shape. I didn’t know that this Easter Bunny from Red Ted Art is made out of the egg carton. It looks adorable and cute. 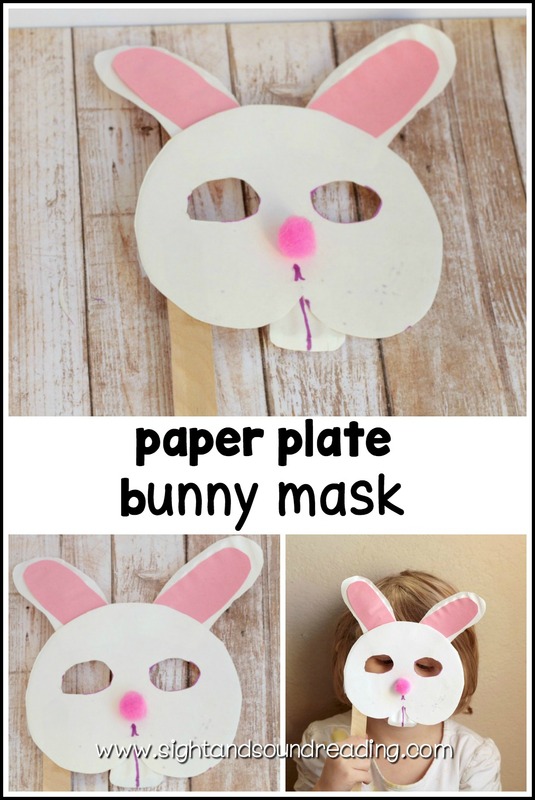 Here is another Easter Bunny Paper Plate Craft from Laughing Kids Learn that you might want to check out if you like paper plate crafts. If you want to draw easter bunny with kids, Bunny Printing from Powerful Mothering will be a fun activity to do. Kids will love doing some hands on messy things for drawing.